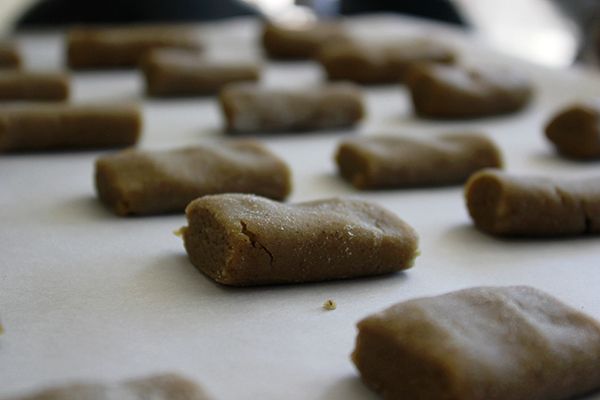 The attractive force of these ginger-tinged biscuits is such that even those who eat too many are quickly forgiven. 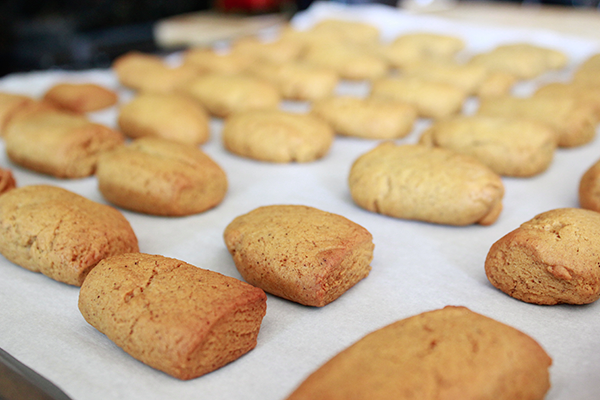 There is no resistance for these delicacies, which are also known en famille as "dolly shoe" cookies (Henz). 1. Melt butter in microwave or over stove, then add golden syrup. Bring mixture to boil stirring occasionally them remove from heat for 10 minutes. 2. Sift dry ingredients into a bowl then add wet mixture (from step #1) and milk. Stir until well mixed, then set aside for 2 hours. 3. Lightly dust a surface with flour then put mixture on the surface and knead lightly. 4. 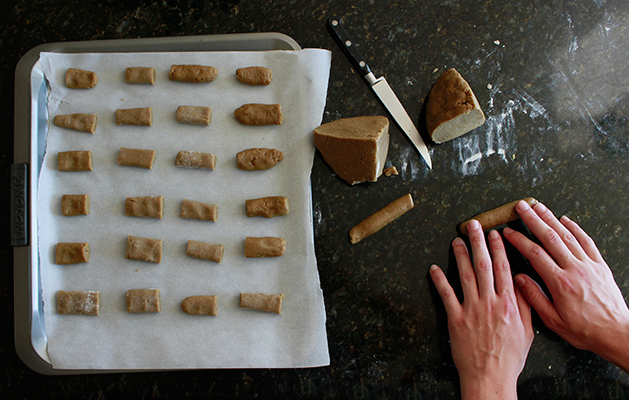 Divide mixture into small pieces and roll into small logs. 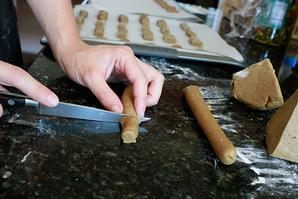 Once all rolled out, cut into 1 and 1/2 - 2 inch pieces. Compress to about 3/4" high. 5. Put pieces onto baking trays and bake in 350 degree oven for 8 minutes. Then take out and let cool. 6. Mix icing ingredients in a small bowl, sifting the icing sugar in. 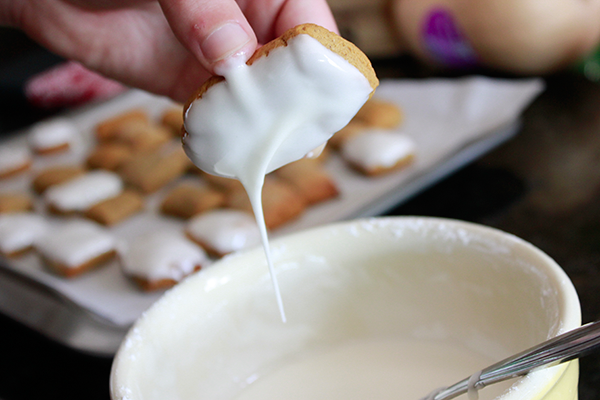 Then slather the icing over each cooled biscuit. 7. Put the biscuits back into the oven for 2 minutes. Remove and let cool completely, then enjoy - in moderation if you can. 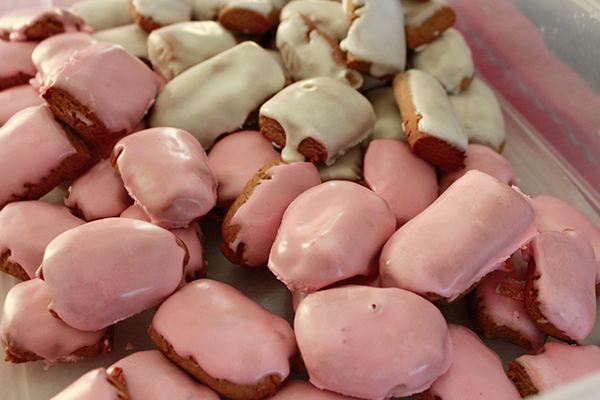 Add red coloring to your icing if you want some pink dolly shoes.